It’s hard to say whether Karen found the career of physiotherapy or whether physiotherapy found Karen. From the age of eight, Karen was a competitive synchronized swimmer. As her athletic career intensified, she enjoyed opportunities to travel and compete nationally and internationally. This level of training and competition came with a cost, and very early on, physiotherapy became a key component to prevent and manage the physical effects of Karen’s intense schedule. At a crossroads at the end high school, Karen chose to follow her academic pursuits rather than continue swimming. In 1994 she moved from Ontario and started her biology degree at the University of British Columbia. In 1998, with her first undergraduate degree complete, it was time to select a profession that encompassed all of her passions; science, health and sport. Karen shadowed several different healthcare professionals before realising that physiotherapy was still the career that best reflected her passions and most resonated with her philosophy towards healing and health. Karen Ogilvie graduated from the Physical Therapy program at UBC in 2001. Upon graduation, Karen went to GF Strong to work with the spinal cord injury team, but her interest in orthopedics and love for adventure quickly moved her from Vancouver to northern BC. Karen worked throughout the north for almost three years, moving to Smithers, Prince George, Williams Lake and Quesnel. The rural experience provided an opportunity to see some of everything, which allowed Karen to keep a broad perspective while furthering her education and experience into the fields she really enjoys. As fun as these towns were, Karen found herself driving to Squamish any time she could, to pursue her latest sport: Rock climbing. So, when the chance came up to live and work in the town she loved to play in, Karen quickly made the choice, and moved to Squamish in 2004. Since then, Squamish has really become home. Karen feels fortunate to work in a community with so many talented and varied health professionals; learning so much from her colleagues, and together, providing an incredible health care “team” for clients. Karen still feels very attached to sports and the physical demands of being an athlete. This has driven her to find opportunities to work with the varsity teams at Quest University, as well as the community she trains with at Crossfit Squamish. The Squamish lifestyle is still a key reason Karen loves it here. While rock climbing brought Karen to Squamish, in the last few years it has taken back seat to so many other sports that the sea to sky offers. 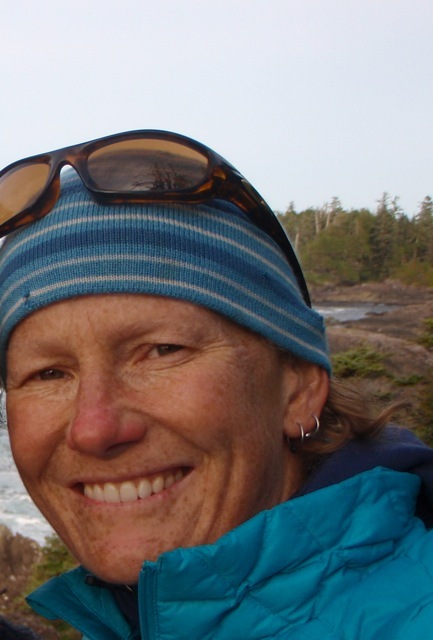 Karen enjoys the challenge of new activities including mountain biking, triathlons, and biathlons, cross country skiing, backcountry skiing, yoga and crossfit. The biggest lifestyle problem is figuring out what to try next!